noticed some dramatic changes. We have merged the sites and launched a new updated site with lots of new content and great features. One new feature is the mobile version. Many of you have struggled to read the site on your iPhone or other smart phone and I am happy to tell you that you will be very pleased with the new mobile version. 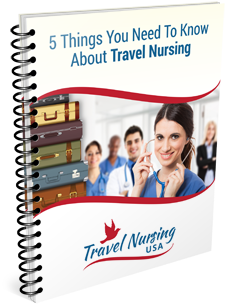 TravelnursingUSA.com can now detect what sort of device you are visiting on and it will automatically put up a very readable version, whether you are on a small screen phone or a larger tablet. Go ahead, pull out your phone and try it. You are going to love it. BTW, over the next couple of weeks I will be adding hundreds and hundreds of new travel nursing jobs so keep checking back as it just gets better and better.